When you’ve put as much thought into your entertainment room’s large-screen TV and sound system as we have at home, you want entertainment furniture that both fits your room’s design theme and is fit for the job of holding your set and any accessories safely. Cheap kit furniture won’t hold up, and now you don’t have to settle for it. 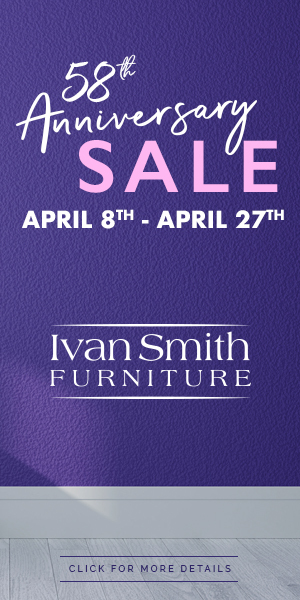 Ivan Smith Furniture offers discerning home furniture buyers like you a plethora of entertainment furniture options and at family-friendly prices. Here are just a few examples of how the Ivan Smith difference in quality and economy will set up your media room so that it is the envy of your friends. Sit back and enjoy your sitcoms, movies, and sports knowing that you managed to get an incomparably great deal on high-end entertainment furniture from us. 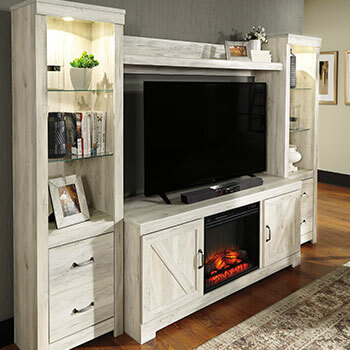 We offer you more than 130 TV stands of all sizes available online and in our showrooms, giving you a choice from a variety of styles from Old World to colonial to midcentury cocktail cool to rustic/country. We specialize in lovely midsize TV consoles and full wall entertainment centers. Each piece has solid construction with beautiful finishes and veneers; some include details such as aged-looking wheels. While it looks like antiques or vintage in front, our entertainment furniture has back panel cutouts for cord management and ventilation of your media equipment. Better still, our entertainment centers are customizable; consoles and hutches can be bought separately. 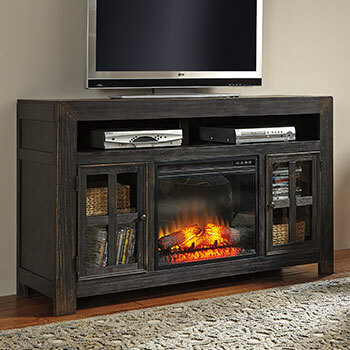 If you miss a traditional fireplace but don’t want the maintenance or fire hazard, with many of our entertainment furniture pieces you can have it all, turning your TV console into a warming, realistic but completely safe artificial hearth thanks to one of our LED-technology fireplace inserts! Yes, you CAN afford a great TV console or entertainment center. 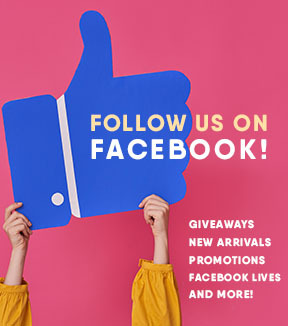 To get started on fitting out the entertainment room you really want, browse the links on this page and stop by our Natchitoches, LA showroom or any of our 43 other home furniture stores.